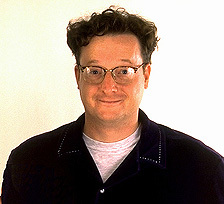 Producer and Director Webster Lewin is a filmmaker who first got involved with interactive multimedia in 1991, as part of the team that created IBM's "Illuminated Books and Manuscripts" and "Bill of Rights" programs. Besides his work with DE-LUX'O, Webster has written and designed CD-ROM titles for Sony Electronic Publishing, Mediavision Multimedia Publishing and THE END's Harvest Moon Studios. He served as Associate Producer on Simon & Schuster/C.C.C. 's award winning "Total Amazon" and "Total Biopark" programs, producing over 40 minutes of interactive video segments as well as audio and stills. Webster Lewin is an award-winning screenwriter and director whose films and videos have appeared on PBS's "American Playhouse", M.T.V., the Bravo Cable Network, and at various film festivals around the world. This Summer, Webster was Head Writer/Designer on the promotional site for the new Harold Ramis film, "MULTIPLICITY", which Macromedia picked twice as their "Shocked Site of the Day". He got a free clone out of the deal, too (see right). The MULTIPLICITY site was produced for Sony Pictures Entertainment by Fankfurt Balkind Interactive. Webster has a Master of Fine Arts degree in Film Directing from Columbia University's School of the Arts, where he studied for a year with Martin Scorsese. He also has a Bachelor of Science in Radio, Television and Film Production from The University of Texas at Austin, School of Communication. Webster recently finished directing a series of interactive videos for the new Hollywood Entertainment Museum, which opens in October, 1996. To check out his resume, click here.